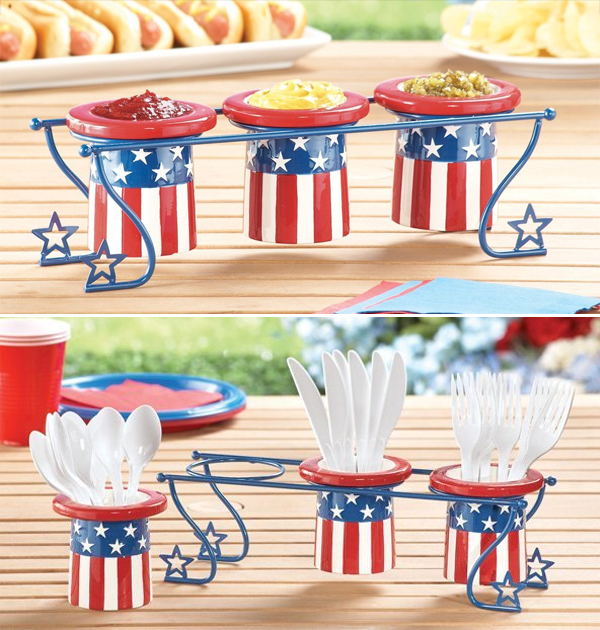 Include this colorful set of condiment service containers (holder included) at your Fourth of July celebration! This set is perfect to serve condiments, dips, snacks, and even silverware! The bright and vibrant colors of this set will look great on your bbq table in your backyard, or even inside your kitchen. The holder is made of sturdy iron and complements the display of containers. Serve up butter, spreads, and soft cheeses with this colorful set of Boston Warehouse’s Flags Flying Star Dip Bowl and Spreader. This handpainted set makes for a great addition to your Fourth of July celebration this year and adds to the spirit of being happy and proud for America’s independence! Serve your friends and family a batch of these patriotic cupcakes for your Fourth of July celebration! 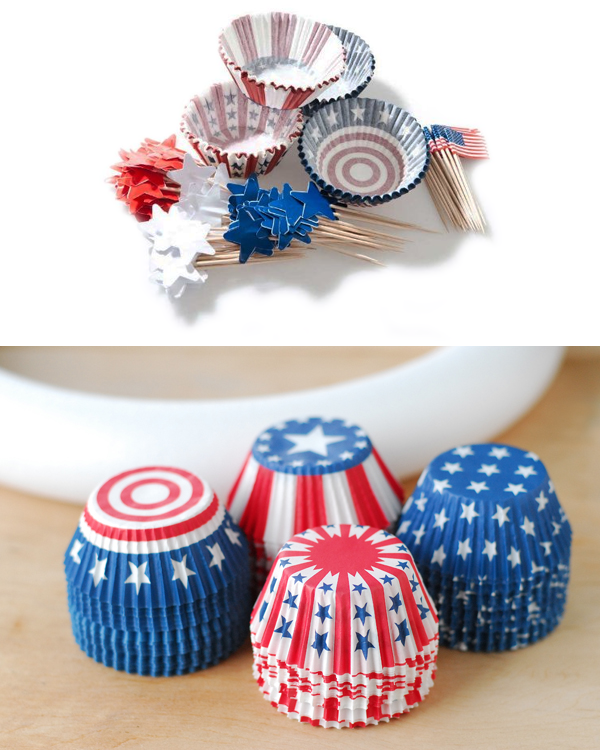 Using these assorted baking cups which come in red, white, and blue designs along with the 3” wooden star picks, you’ll whip up the most patriotic cupcakes ever served at a party. 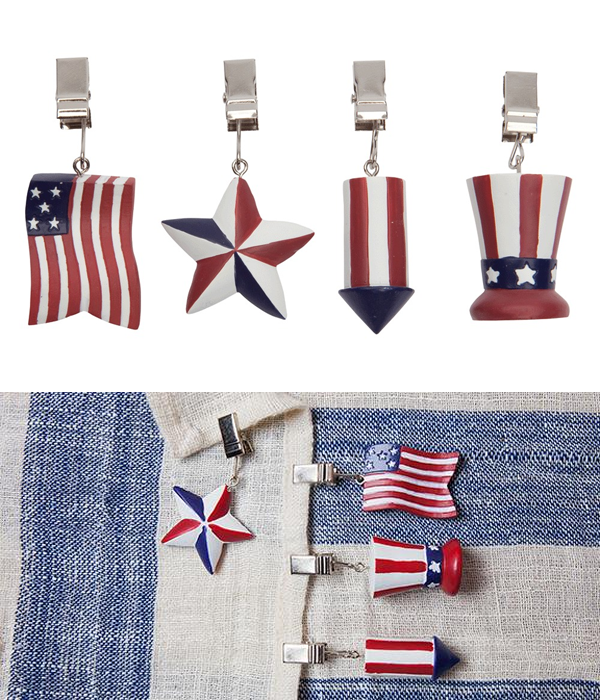 Prevent your tablecloth from flying away with this set of Patriotic Weights, hand painted with the design of the American Flag. These easy-to-use clips can be effortlessly attached to each end of your tablecloth, keeping it down. The colorful design looks great indoors or outdoors and can be visual treat for your guests at your Fourth of July celebration! 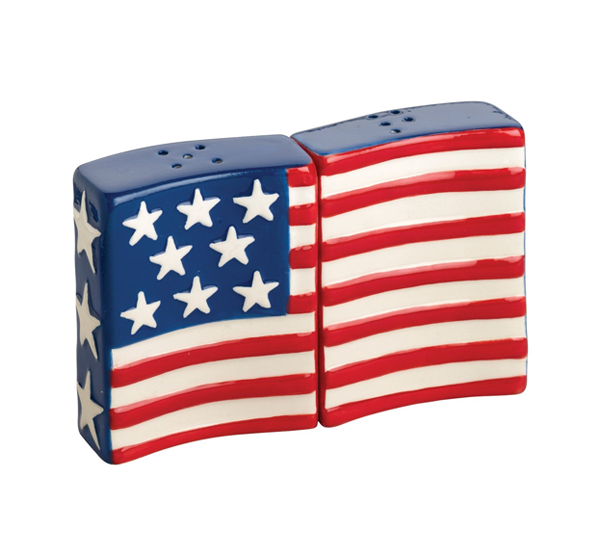 Get these celebratory and patriotic Flying Flags Salt & Pepper Set to add to the spirit of celebrating America’s independence! These shakers are hand-painted with precision and composed of earthenware. Not only will they let your guests add some flavor to their food, but they also make for great decor in your kitchen! Show off your pride for America with this inflatable cooler! 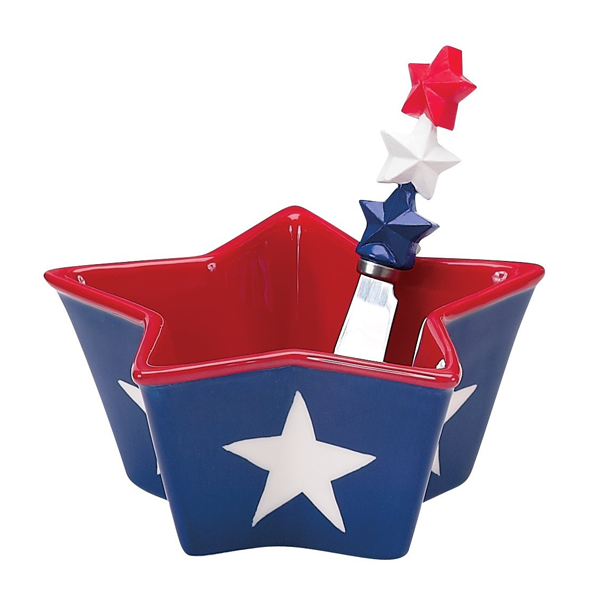 This accessory will not only keep your food and drinks cold, but your guests will appreciate the appeal as they celebrate the Fourth of July in your backyard. Inflated, approx. 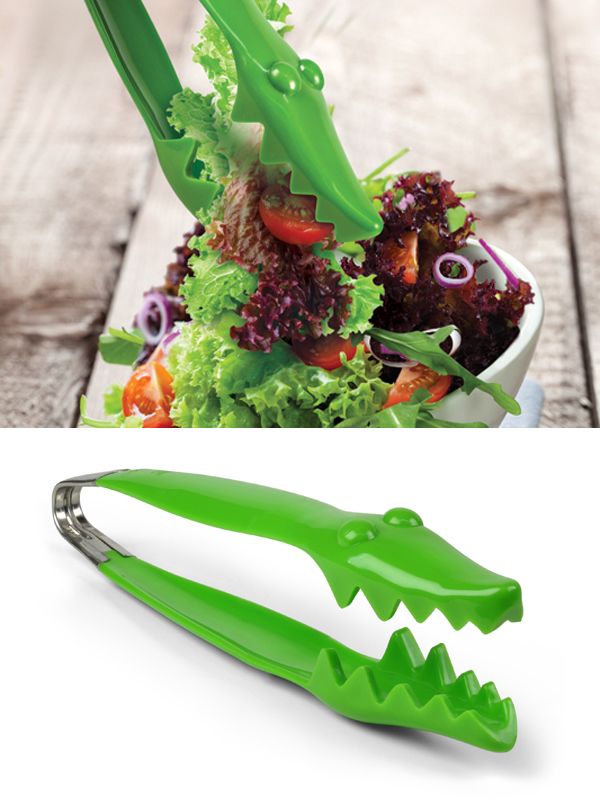 4 1/2 ft. x 2 ft.
Decorate your table with this cute set of Salad Snapper Croc Tongs! Not only does it look appealing in your salad bowl, but the innovative head and teeth on this gator will give you a better grip as you reach for the greens at your next barbecue. You’re now guaranteed to catch that olive that keeps escaping your grip when you use regular tongs! 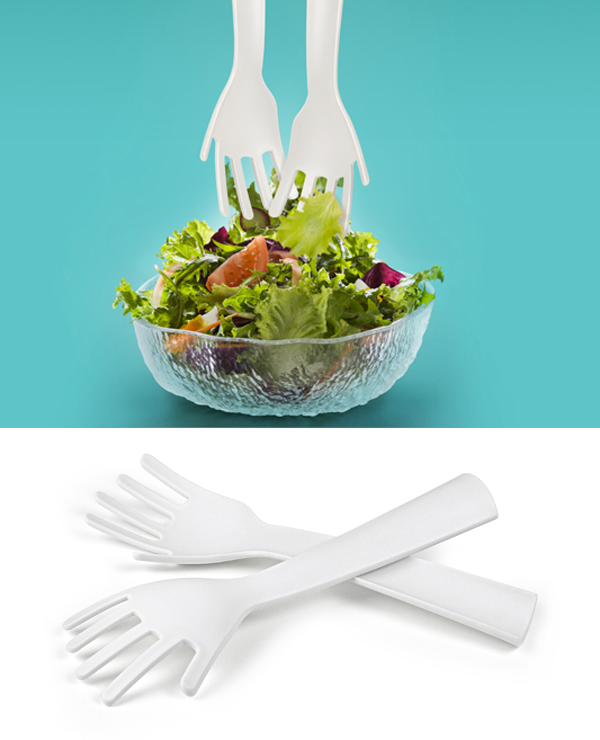 Like the Croc Tongs, the Idle Hands Salad Servers are another awesome set of items that make serving salad fun for anyone at your next BBQ. Change up how condiments are served at your next BBQ, get-together, or maybe even during your lazy Sunday movie sessions by adding a bit of fun with the Condiment Gun. 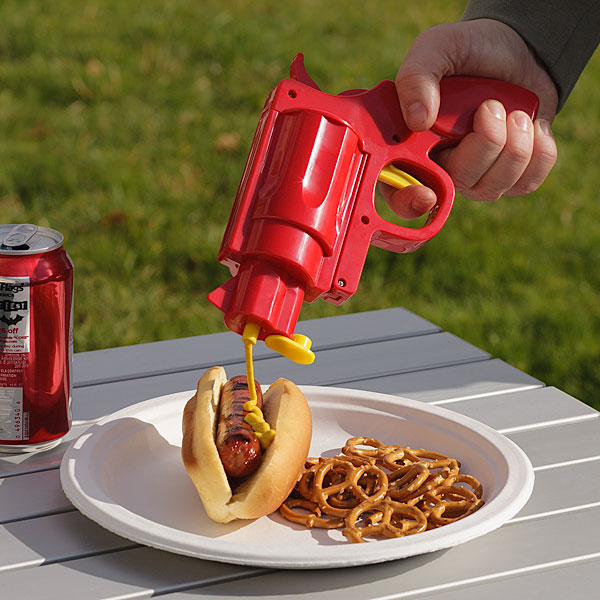 Load up your favorite condiments into one of the two barrels that the Condiment Gun comes with, pull the trigger, and neatly dress your hotdog or burger. No more crusty ketchup bottles! This item is a real game changer for serving up ketchup, mustard, mayonnaise, and BBQ sauce among others. 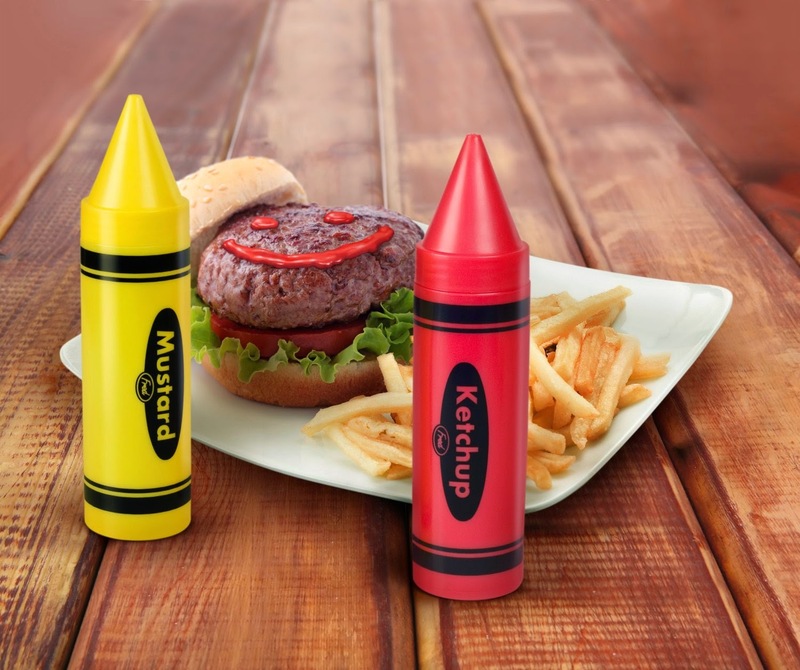 Here's another fun way to serve up your condiments at your BBQ. The "Crayums" Condiment Servers are the items your table is missing!